What causes tire wear on outside edge? What causes tire wear on the outside edge? Well if the tire worn out on the outside edge this means that the car have alignment problem. Why Does My Car Just Dies While Driving? Why does my car just dies while driving? Car runs then dies after a several seconds. Lots of things can cause this kind of problem, the causes depends on the condition when the problem occurs. The engine will run on a few second then dies, this situation is called “Run On”. 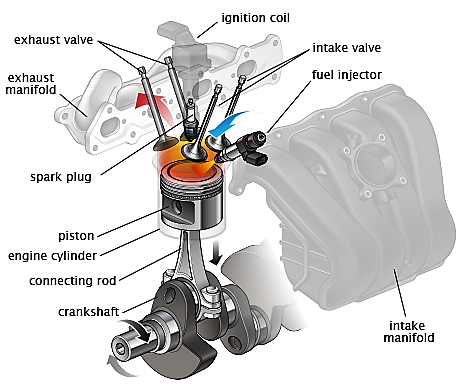 Run on makes the Engine dies when the engine is extremely hot. Why is my manual transmission grinding? Why is my manual transmission grinding when shifting? Transmission is very complex parts that is why when there is trouble it is very hard to diagnose without looking at the actual transmission, the diagnosis mention on this article is just a possibility unless the actual transmission is inspected.